Offering library furniture & custom library furnishings for over 30 years. 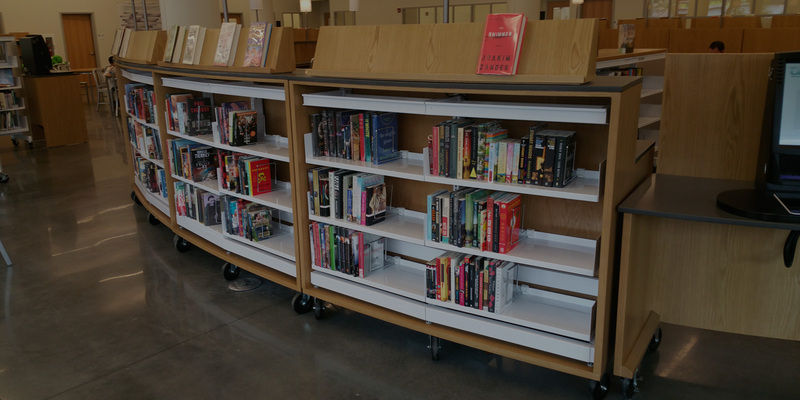 Our knowledge of today’s libraries coupled with our knowledge and experience with the top shelving and furniture manufactures makes us the right choice to assist you with your needs. 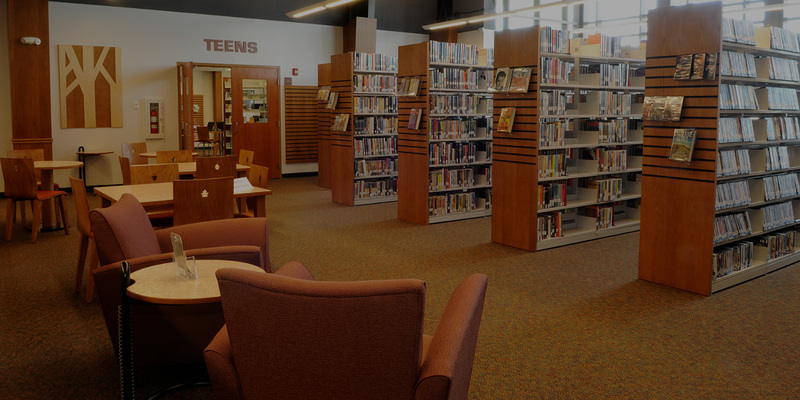 Please visit our testimonial page to see firsthand why J.P. Jay Associates has been the supplier of choice by so many fine public, academic and private libraries. 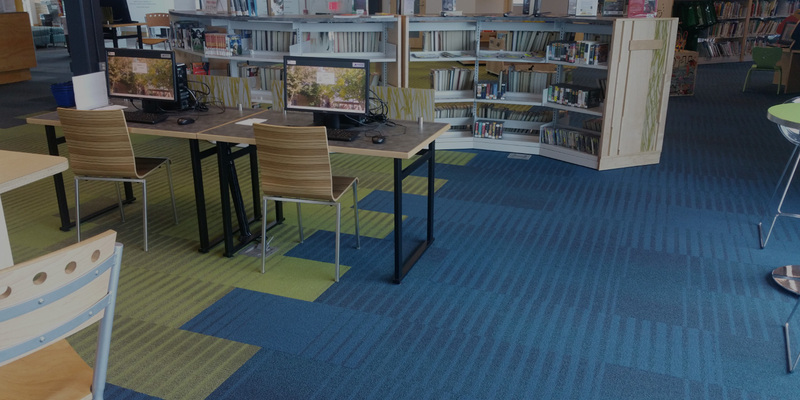 Since 1980, J. P. Jay Associates has been assisting the library community with designing and furnishing their libraries. 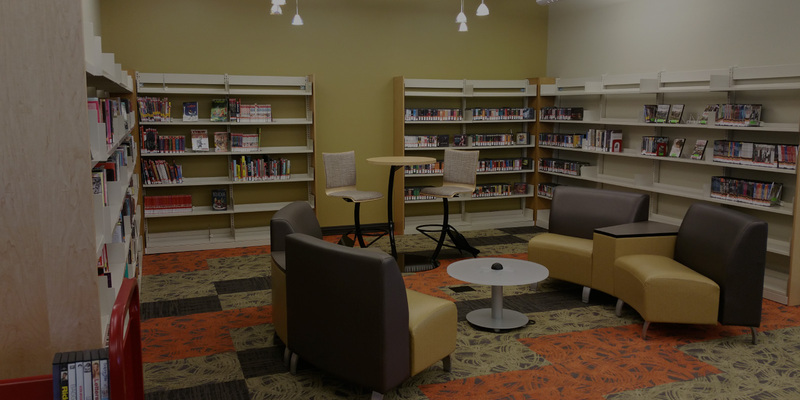 As a professional library furniture supplier, we work to provide public, university, K-12 and special libraries with the finest furniture and shelving solutions available. 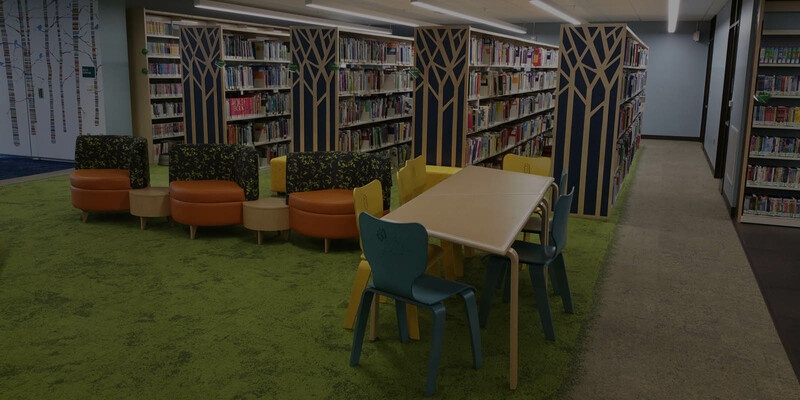 Featuring spacious seating and work areas, comfortable lounge chairs for reading, and creative designs for the children’s library section. 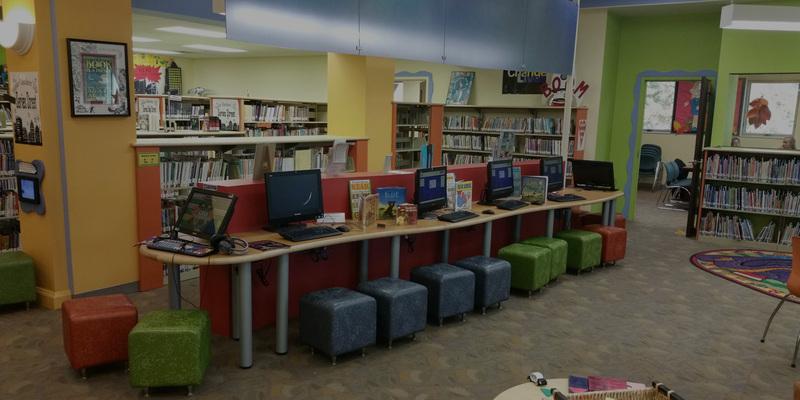 Recent upgrades to this library include new café tables and stools, as well as new counter hung workstations & circulation desk work area. Trees are taking over at the children’s section, featuring work from local artists and furniture featuring tree themes, from end panels to the tables and chairs.